You might have just walked past this Italian restaurant at Block 408 Ang Mo Kio Avenue 10 with its unassuming exterior. 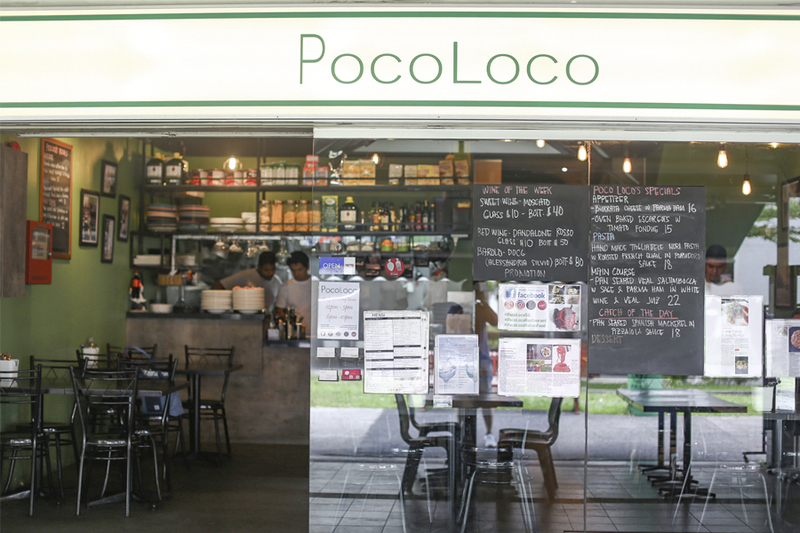 Surrounded by provision and hairdressing shops, many diners may not have known of PocoLoco, if not for the positive reviews it has been getting. 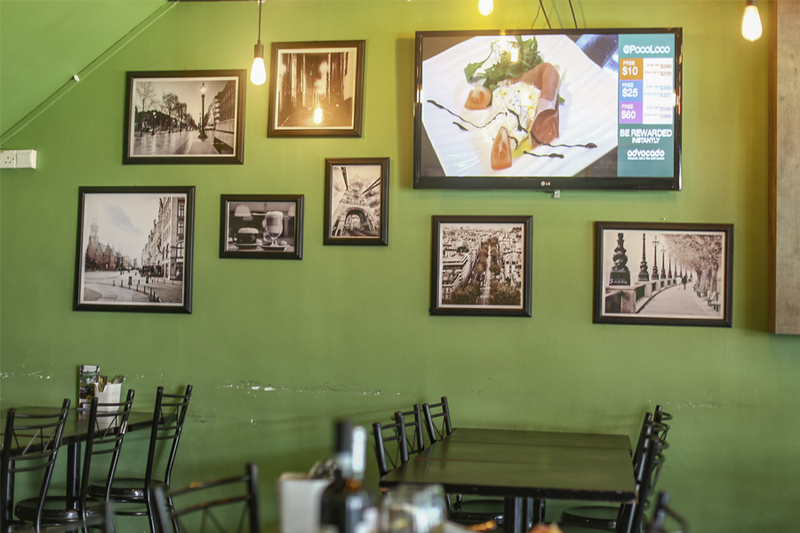 Take a look and meal inside, and you would realise PocoLoco is a small restaurant with wide range of quality Italian spread, all at affordable prices. 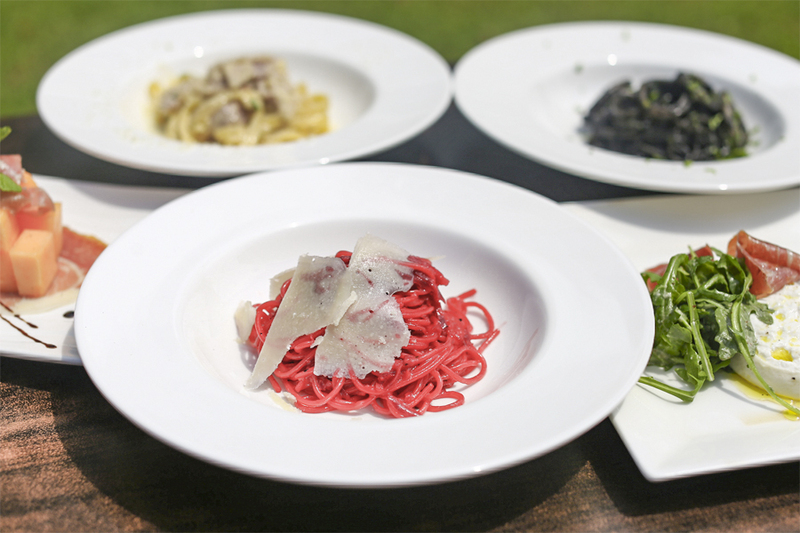 A quick glance of its menu, and I saw that its basic pasta dishes of Aglio Olio and Pesto were priced at $9, while the higher range of Manzo – pasta with beef in truffle cream sauce; Granchio – crabmeat in pink sauce; Zafferano – seafood pasta with saffron sauce; and Lasagna were all $12. Truly a hidden gem at pocket-friendly prices. 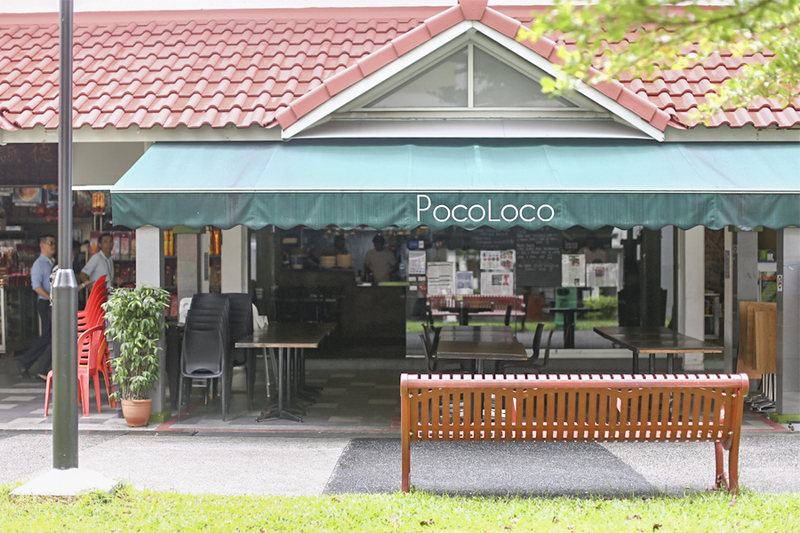 PocoLoco was opened with the objective of going into the heartlands of Singapore and selling at heartlands price. The interior is no-frills, but food worth its buck. So the lesson learnt is: don’t just based on appearances. The kitchen team has chosen not to compromise on the food quality. 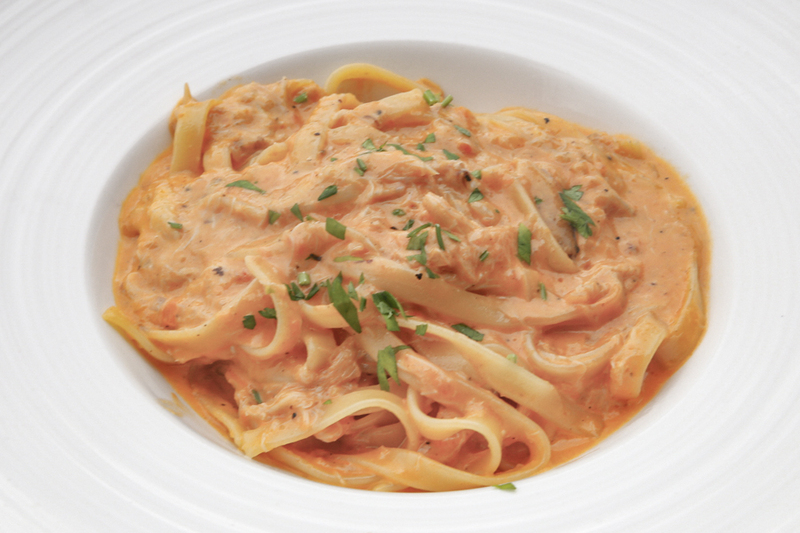 Most of its ingredients are imported directly from Italy, sauces; dressings and stock bases cooked from scratch. 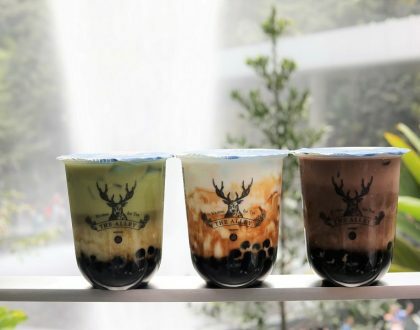 As to how PocoLoco keep its prices up to 50% less than the restaurants in the city centre, it is a combination of lower rental at their choice of locations (the other being Jurong Snow City, and a pizzeria at Beach Road Golden Mile Tower), and the choice of a more informal environment. 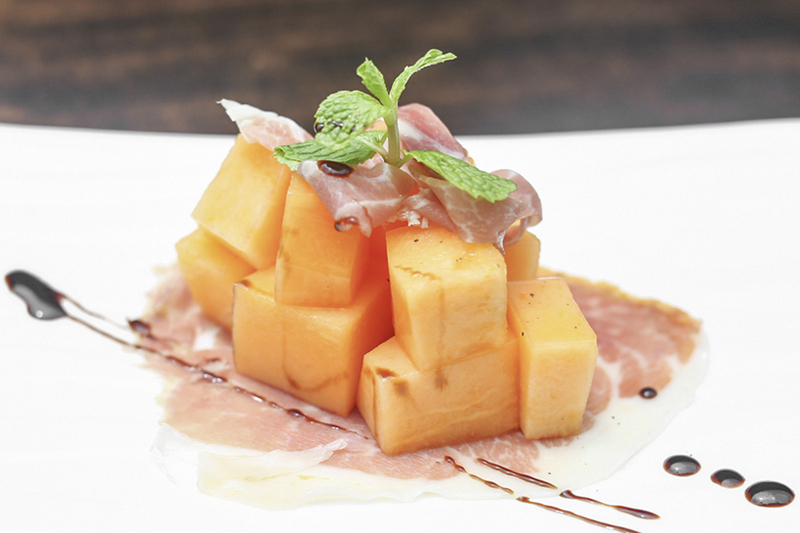 Not commonly seen in casual Italian restaurants in Singapore, this starter of “prosciutto e melone” can make a refreshing introduction on a meal. I would recommend eating the entire piece at the same time (and not having separately). 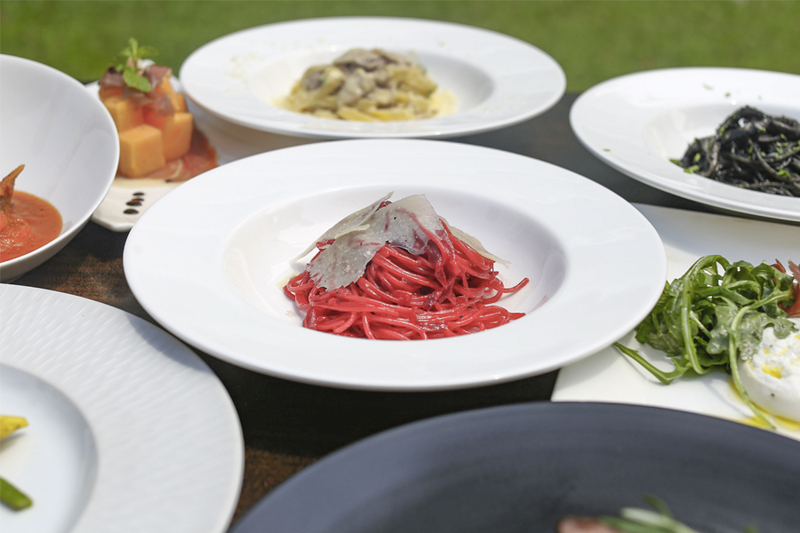 The juicy, orange melon was contrasting to the strong savouriness of the Italian dry-cured Parma ham. Yet, consuming both together gave a fruity met tasty outcome. 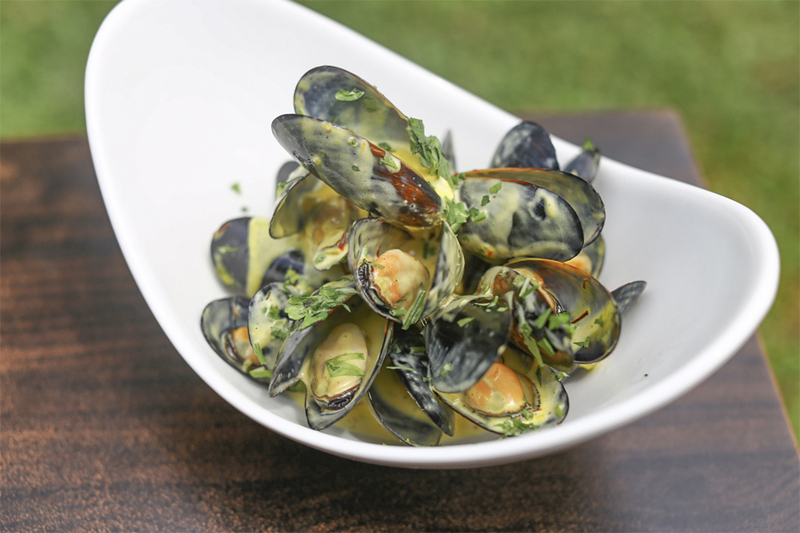 Fresh mussels are essential to this dish. Cooked with white wine sauce, you can still taste some of that lovely ‘sea water’ flavour. Good to pair with some of the plainer tasting pastas. Burrata means “buttered” in Italian, a fresh Italian cheese made from mozzarella and cream. The outer layer s solid mozzarella, while the inside contains stracciatella and cream, giving it an curd-like, soft texture. I was surprised to find Burrata here, as it is normally available only at higher end Italian restaurants due to its short shelf life of about two to three days. 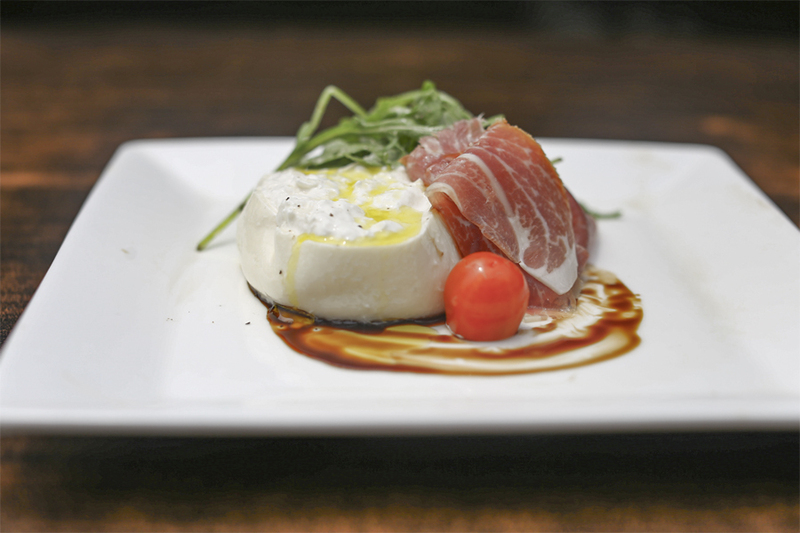 The burrata cheese sold at PocoLoco is regularly flown in from Italy, to be assured of its freshness. Paired with tomatoes, rocket leaves and parma ham, enjoy that straight-up creamy texture as you let it slide on your tongue. 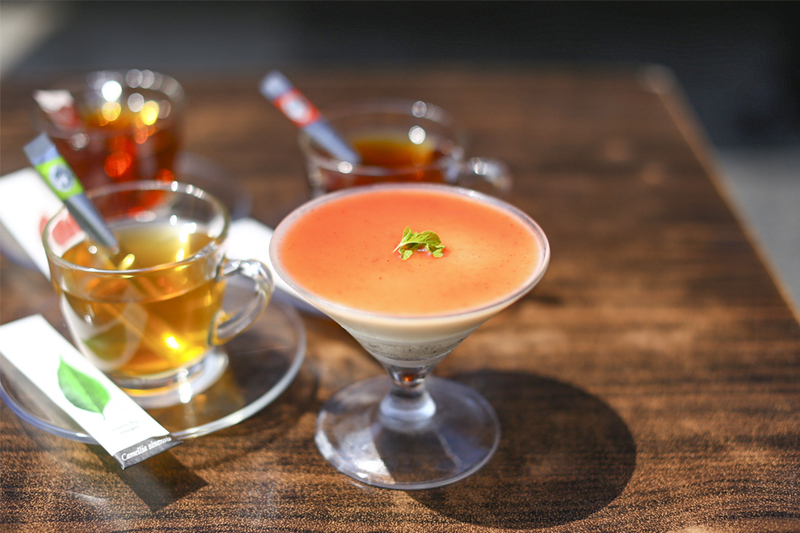 There are three soups available here: Zuppa di Funghi – mushroom soup ($4); Zuppe di Melone – chilled melon soup with parma ham ($5); and Zuppa di Pesce – tomato seafood soup. The Zuppa di Pesce is a tangy starter usually found along the Tuscan coast of Italy. 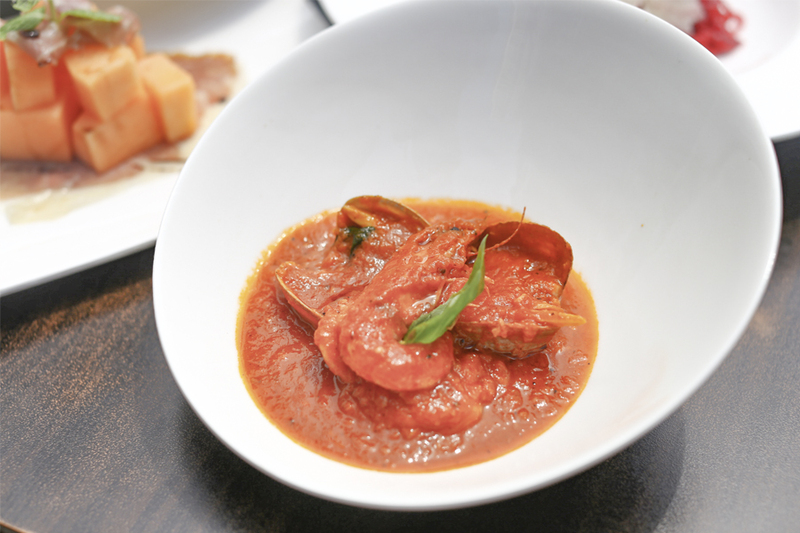 While it was called ‘soup’, this dish was on the thicker side – almost like tomato puree meets seafood stew, great for those who love your fresh tomatoes with shrimps and mussels. Wished there was some toasted bread to go along. Pretty in pink. 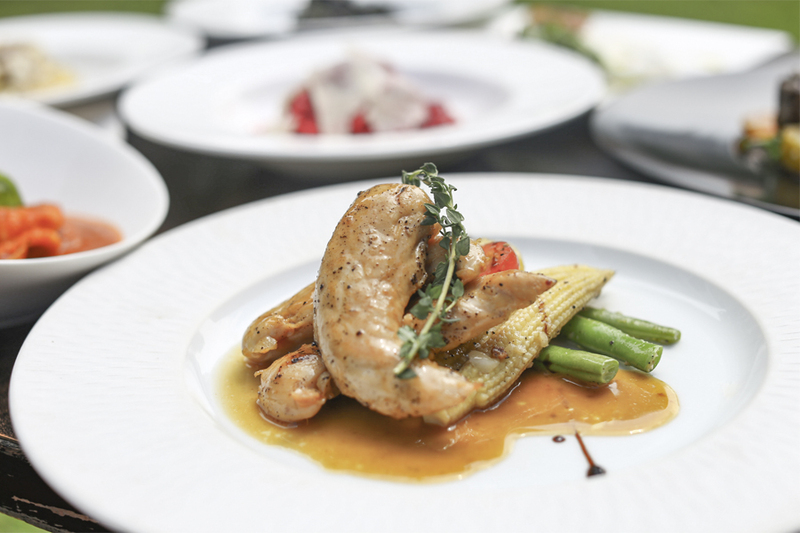 An eye-catching but simple main course. 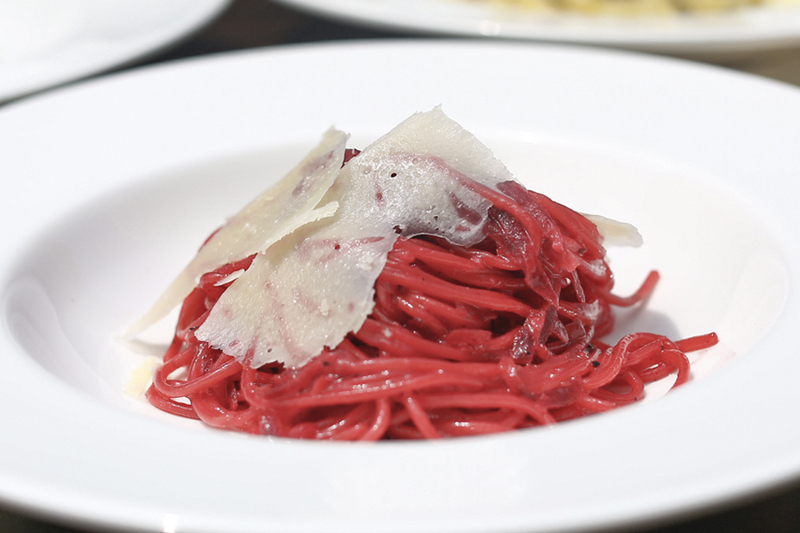 The pinkish-red colour is obtained by adding sliced beetroot to the pasta during cooking, so no additional artificial colours are added. I liked that it was simple and earthy, and you would taste nuances of beetroot sweetness. This is my personal favourite among those I have tried, also because I generally prefer pastas that are creamier. The Crabmeat Pasta came al dente, with generous portion of sweet crab meat swimming within, all tossed in a cream sauce added with tomatoes. Good to know that the pasta is all handmade by the chefs daily. It is very time consuming to made this pasta, and the team would just make 15 portions a day. The regular best-seller at PocoLoco. I would have preferred the base sauce to be wetter with an egg-ier taste. Dark pleasures await. 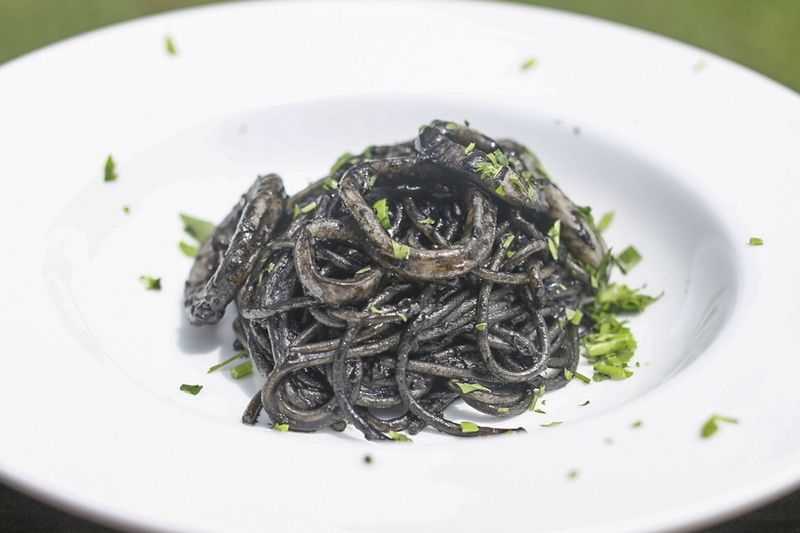 If you like something more robust and buttery, go for the Squid Ink Pasta with that silky black hue. Added with garlic, white wine, squid ink and Italian parsley, this is generally saltier than some of the other pasta dishes. If you are looking at something beyond pasta, there are six types of risotto available: Barbabietola Rossa – beetroot risotto ($11); Nero – squid ink risotto ($13); Zafferano – seafood risotto with saffron sauce ($13); Porcini – risotto w porcini mushroom ($13); Marinara – seafood risotto in light tomato sauce ($13); and Fegato d’oca – risotto with foie gras ($15). 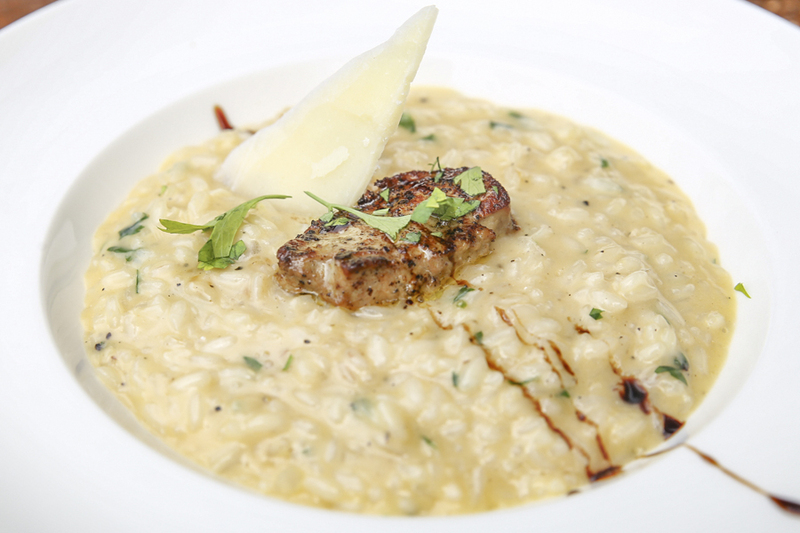 Medium-grained Carnaroli rice was used for the risotto. The risotto was cooked by boiling the grains with home-made broth in a low flame – such that it would become slightly creamy with the right bite. 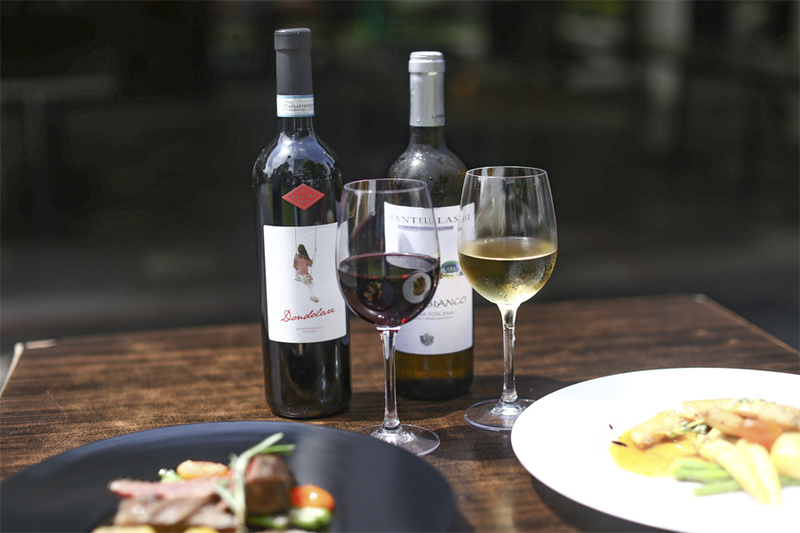 Masala wine is a fortified wine from Sicily commonly used for cooking to create rich caramelized sauces. It gave the chicken pieces that slightly sweet-nutty undertones. i did wish that the chicken was juicier. Gorgonzola is a veined Italian blue cheese, made from unskimmed cow’s milk. 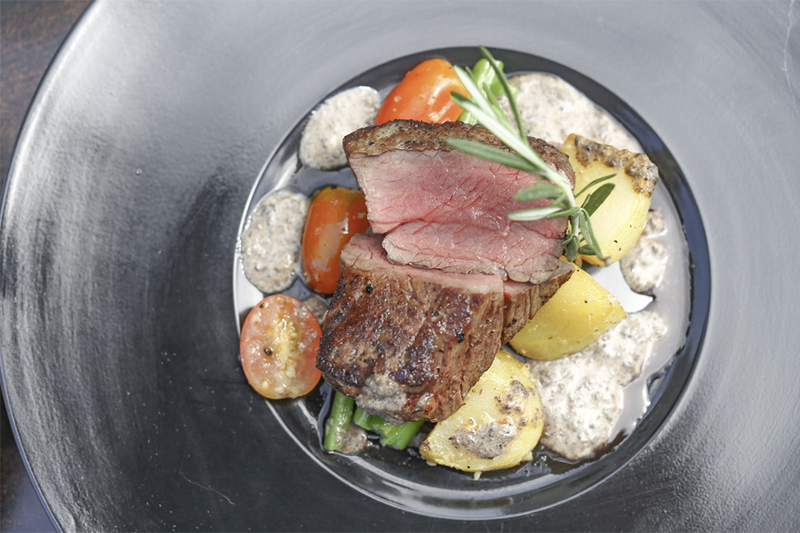 A classic roasted beef tenderloin with strong-gorgonzola sauce. 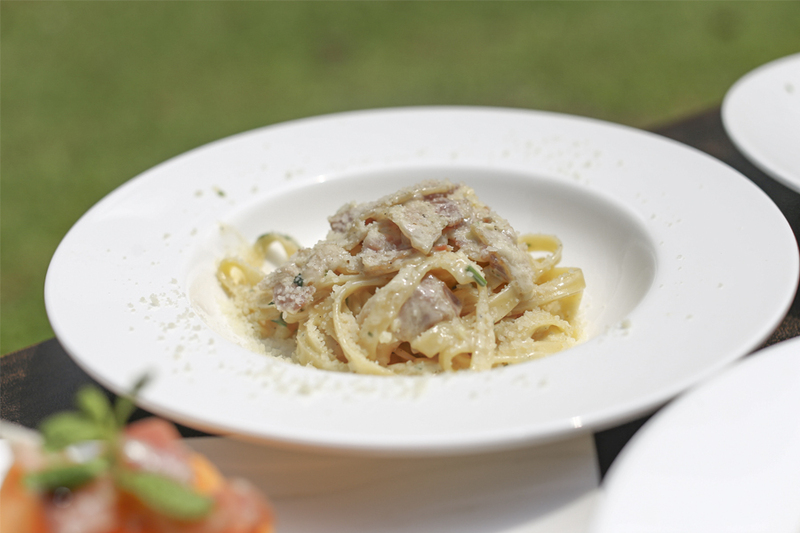 I generally prefer the pasta dishes here over the mains, with a more lasting dishes. For a sweet ending to the meal, the signature desserts here include Crème Brulee ($5), Tiramisu ($5), and Lava Cake ($6). I had the Panna Cotta this time, smooth, delicate that is thankfully not overly sweet. The raspberry puree added a touch of sharp fruitiness. 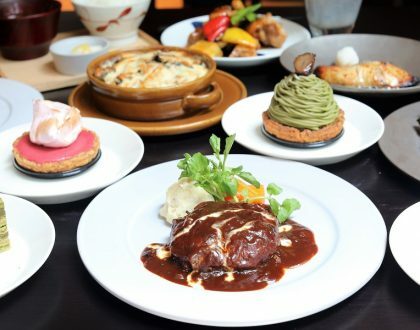 Interesting to know: The group behind PocoLoco also owns Ristorante Takada, which serves quality Japanese-Italian fare. 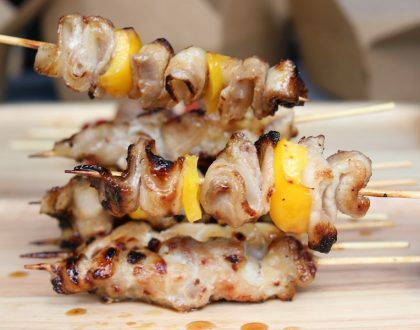 One of the co-owners who has several years of experience of working in Italian restaurants, shared his insistence of keeping the Italian names of the dishes on the menu, even though it could be slightly harder for local diners who are unfamiliar with Italian food to recognise.